The future-funk genre has long been poised for global attention, and in recent years, it seems the stars have aligned. While its precursor – vaporwave – may now be past its peak, future-funk’s rise has been steady and continual. Now, hoards of producers from all over the world see themselves turning to the genre, owing in large part to the exposure provided by platforms like BandCamp and forums on Reddit and 4chan. Among these artists are Pink Neon Tokyo, a future funk collective from Tokyo, Japan, who bring to the table a fresh brand of future funk that is distinctly Japanese in its style and sound. 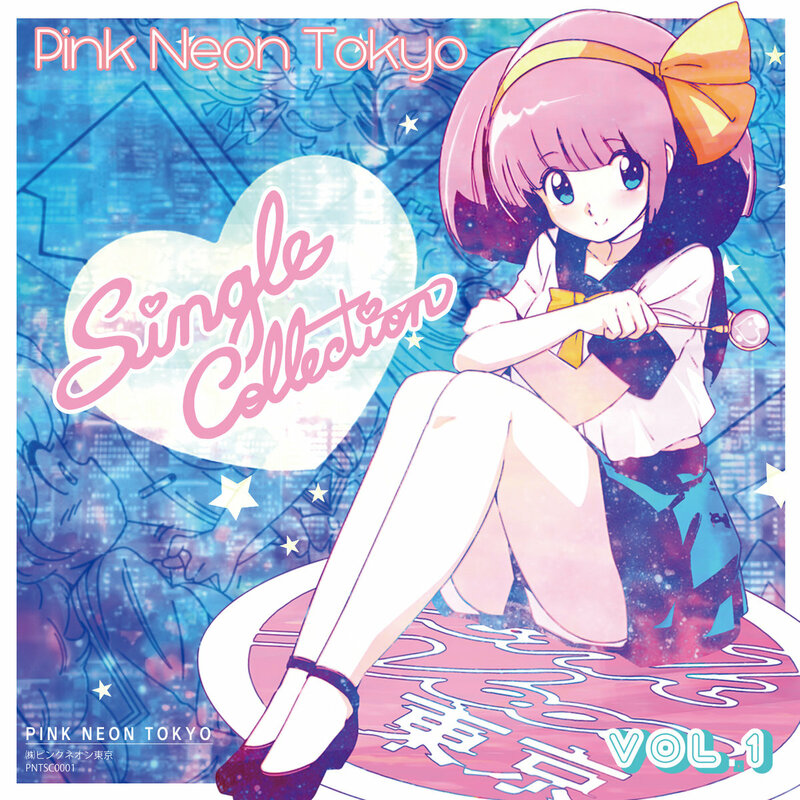 Pink Neon Tokyo’s Single Collection Vol. 1 is akin to a big bag of candy that you feel you won’t be able to finish but you do anyway. Each track is designed to blast you off into a sugar-high with its glossy production and glitzy J-pop samples which are buoyed by thumping, bass-heavy percussion. Amidst this chaotic mix, dazzling Chic-esque guitars ensure the tracks are undeniably funky. The experience, as a whole, is almost like walking through one of Tokyo’s noisy video arcades, squinting at the bright neon strobe-lights and feeling the electronic dins pulsating through your body. While Tomato Groove, which cleverly samples ABBA‘s Dancing Queen, is the album’s bounciest disco banger, PNTのロンリー・ガール is the most pop-oriented piece on the record. Love Me Tender, meanwhile, is a purely instrumental dancefloor jam. Favorite Tracks: PNTのロンリー・ガール feat. intend*; Order ; Tomato Groove. Save The Arcadian: How’d They Get Up There?